The original Chevrolet Cruze came to the market in fall 2010. Even back then, Chevrolet worked upon numerous techniques just to get the vehicle achieve a figure of 40 mpg on the highway. This included adding low resistant tires, aerodynamic shatters and many more in the eco-variant. To show a sign of improvement, the company has announced the 2016 line-up of Cruze coming with over 40 mpg as a standard, across all variants. It has taken six years for the company to achieve this coveted figure and it still employs an army of fuel saving measures. These are the times of cheap gasoline, which is available at around the two dollars a gallon figure, and it has resulted in the demand for eco-cars going down. Yet, Chevrolet will want to keep braced for any eventuality in the future. Cruze achieves a figure of 42 mpg on the highway while it drops down to 30 mpg in the city. This figure matches or even goes past a number of its competitors like the Hyundai Elantra (28/38), Honda Civic (31/42), Ford Focus (30/42) and Toyota Corolla (30/42). The 2016 Chevrolet Cruze retains the same engine as the outgoing car – a small 1.4 L four-cylinder engine which has been turbocharged – as before, but it now produces more power and is also more efficient. Power has gone up from 138 hp to 153, while there is an even bigger margin of improvement with regard to torque, which has gone up from 125 pounds feet to 177 pounds feet. The substantial improvements in these figures clearly show that the car is now much more efficient. It is not surprising to see the economic figures jump by around 4 mpg compared to the outgoing version. The biggest factor towards the fuel economy improvement is weight reduction. Losing weight has been the focus for all manufacturers. Doing so will improve every aspect from acceleration, braking, and economy. 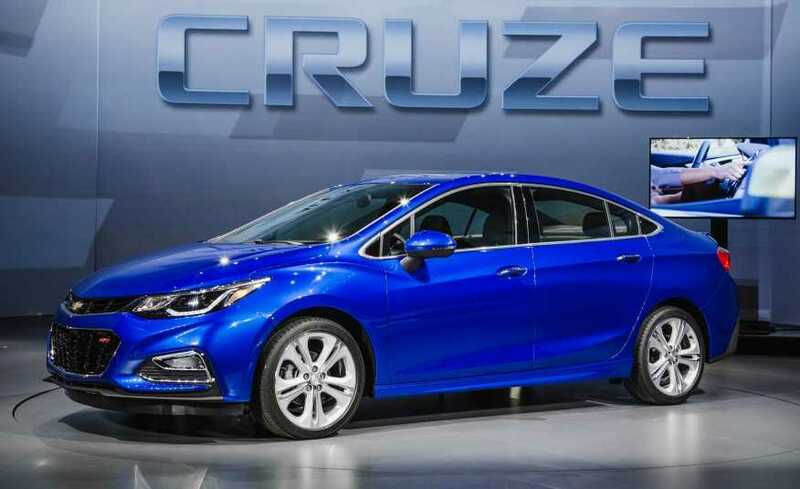 Chevrolet has ensured that the new Cruze is around 250 pounds lighter than the predecessor depending on the model. This is a substantial weight saving, as it makes the predecessor feel like being driven with four people. Chevrolet needed to make these improvements in order to spice up the sales of Cruze. The sales in the US markets have plunged by 38% with the Honda Civic continuing its unrivalled dominance. Cruze had just 37,241 deliveries compared to 87,303 deliveries for the Honda.